We review the full-frame Sony Alpha A7R II, with a 42.4 megapixel backlit illuminated CMOS sensor and 4K video recording. 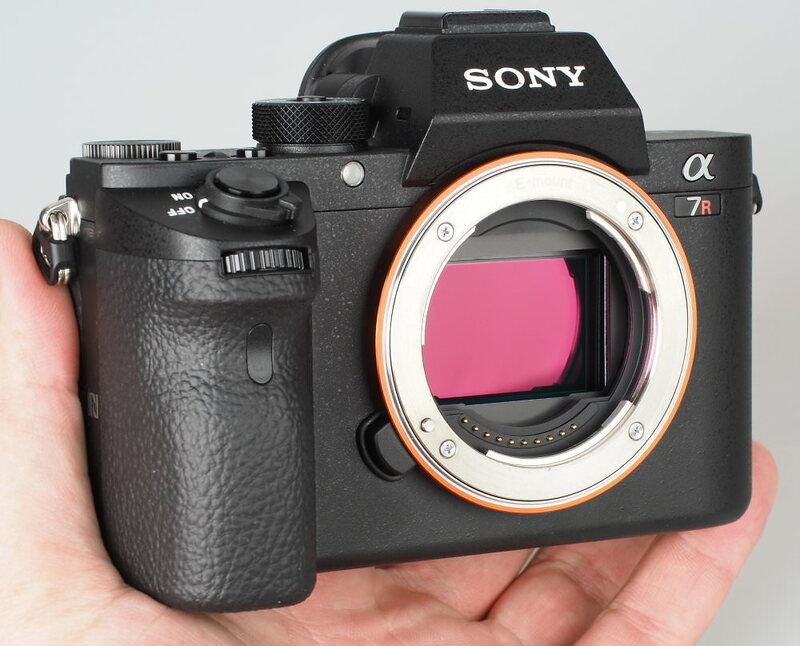 The Sony Alpha A7R Mark II is the World's first full-frame camera with a 42.4 megapixel backlit CMOS sensor, which should deliver improved noise performance. The camera also offers internal 4K video recording, plus a 399-point hybrid AF system, and an updated design compared to the 36 megapixel A7R. The Sony Alpha A7R Mark II (model name ILCE-7RM2) is the top of the range Sony Alpha 7 series camera from Sony, and introduces a new 42.4 megapixel BSI (BackSide Illuminated) CMOS sensor, the World's first full-frame BSI-CMOS sensor, should mean improved noise performance and dynamic range. Thanks to the new sensor, the A7R Mark II offers an increased ISO sensitivity range from ISO50 to ISO102400, and a 5-axis sensor-based image stabilisation system. Also on offer is a relatively fast continuous shooting mode that shoots at 5fps, plus full-pixel readout 4K movie recording. The camera features the Sony BIONZ X image processing engine, which includes diffraction reduction, plus area-specific noise reduction for improved image quality. 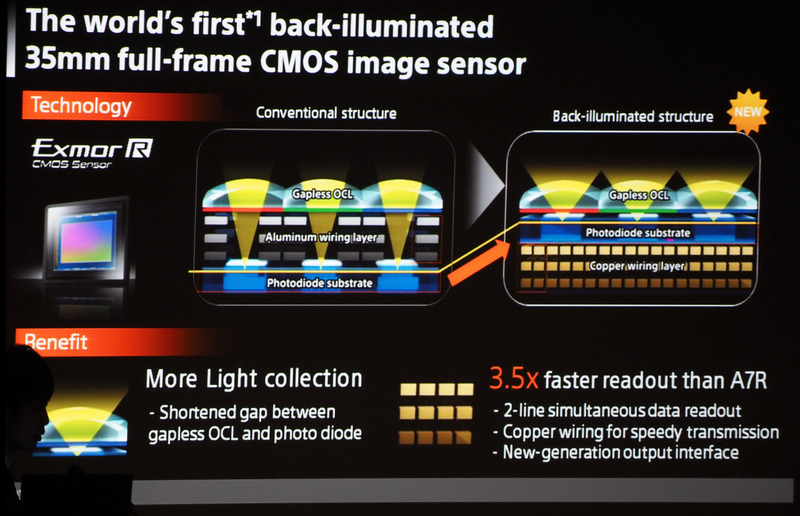 The sensor does not feature an optical low-pass filter, so that it should be possible to get the best image quality possible. The camera body has a newly developed shutter unit which is designed for vibration suppression, plus silent shooting, and is rated for 500,000 shutter releases! 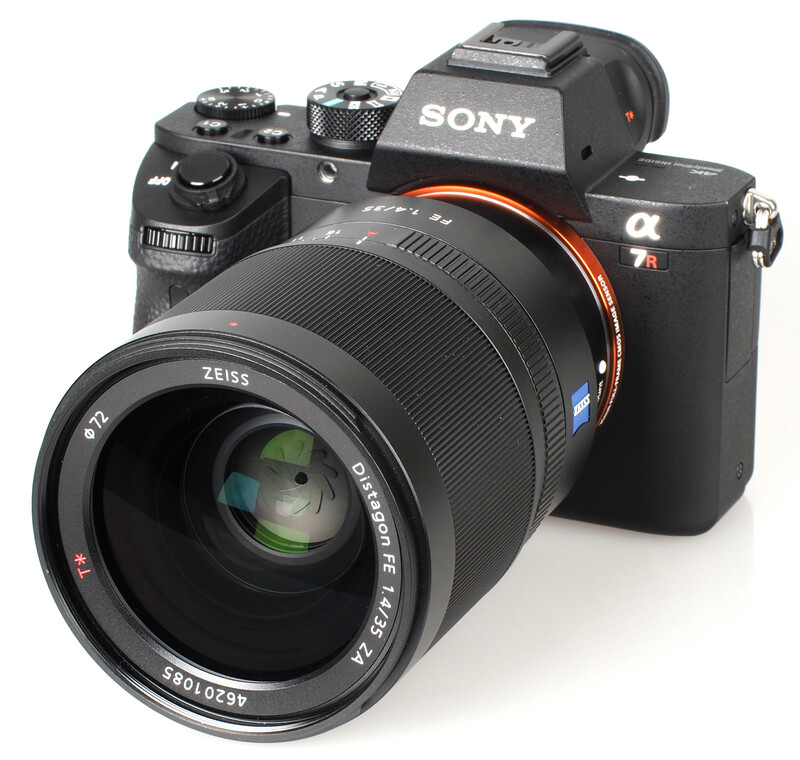 There are currently 13 FE (Full-frame) lenses, with Sony planning on having 20 FE mount lenses available by early 2016. The camera gives the option to use E-Mount lenses in crop mode, or alternatively use the full frame, but with strong vignetting. 399 phase-detection AF points cover 45% of the image area, and is said to give 40% faster AF when compared to the Sony Alpha A7R. Continuous shooting is at 5fps with AF / AE tracking enabled. 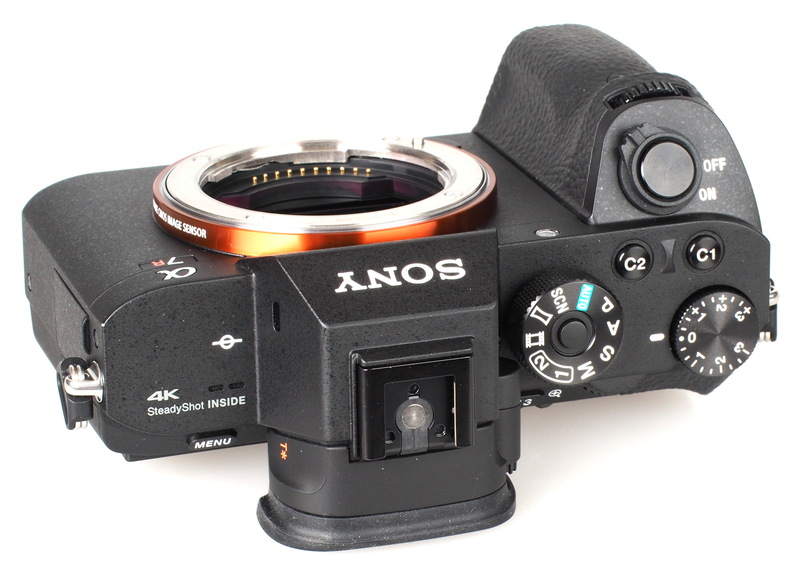 Phase-detection AF will also work with the LA-EA3 Alpha mount adapter with Sony A-mount lenses. 4K video recording offers full pixel readout without pixel binning when using the Super 35 (cropped) format, which can be recorded internally to SD card (4:2:0 8bit). This over-samples 1.8x as many pixels as needed for 4K movies resulting in improved movie quality. Increased quality (4:2:2 8bit) recording is possible when recording to an external recorder using HDMI out. FullHD video recording is also included, along with a high-speed 100fps video mode at a reduced resolution. Numerous shooting modes are included with intelligent Auto and Superior Auto for those that simply want to point and shoot, as well as numerous scene modes, and creative effects. For the more advanced there are full manual controls, two custom modes, and picture effect customisation options. Wi-Fi connectivity and NFC is included, and you can add additional features to the camera using Sony PlayMemories apps, which can be downloaded over Wi-Fi. The A7R-II feels extremely well built with a large front grip that is covered in textured rubber that extends around to the back of the camera, where it is shaped for your thumb. The camera feels good to hold, with a textured finish, and due to the lenses being of a decent size, holding the camera with two hands (with one supporting the lens) is highly recommended. 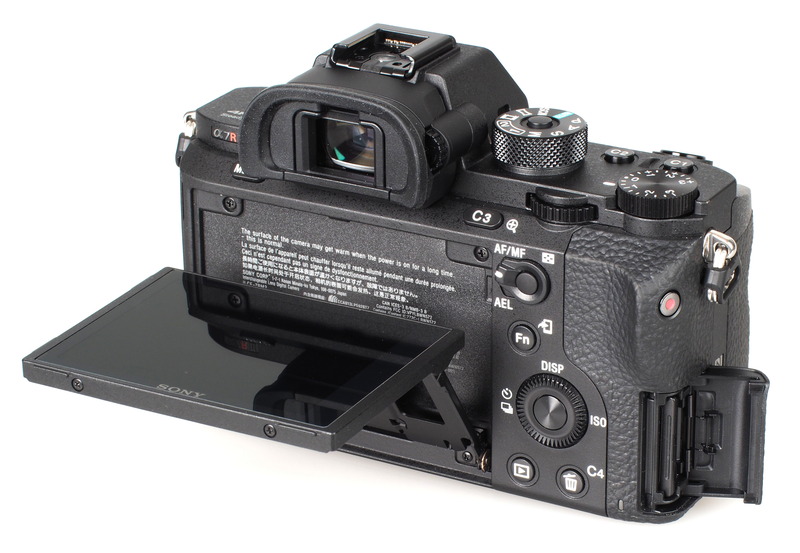 If you plan on using one of the adapters, and Sony Alpha (A-Mount) lenses with the camera, or other large lenses, then the optional battery grip could help the camera feel more balanced, as well as giving extended battery life. The camera features a tough magnesium-alloy body that gives side access to the memory card slot, supporting the use of either Sony Memory Stick or SD/SDHC/SDXC memory cards. 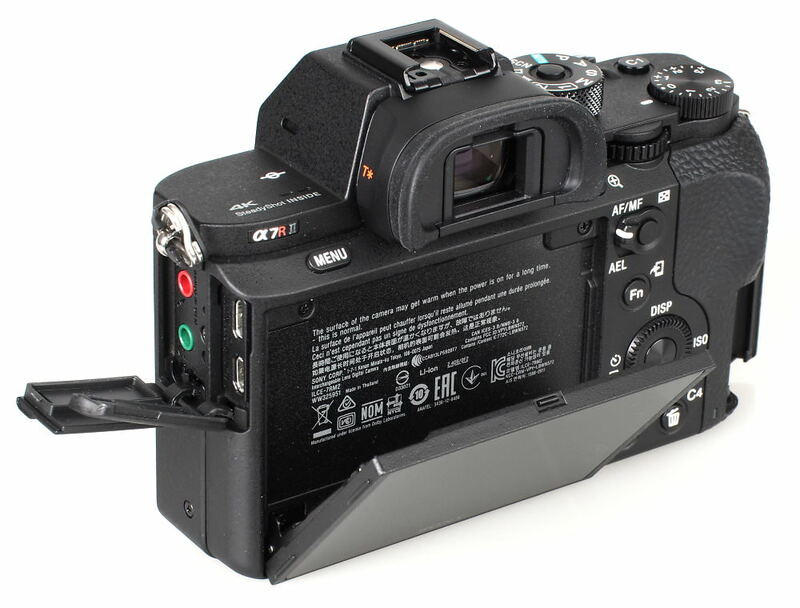 The inclusion of in-camera image stabilisation, has resulted in a slightly larger camera body compared to the A7R, with increased weight compared to previous models, and when used with a larger lens can result in the camera feeling heavy when used for an extended length of time - although is still lighter when compared to full-frame DSLR cameras. An exposure compensation dial on top gives quick access to exposure control. The front and rear dial can be used for aperture and shutter control when in manual / aperture or shutter modes respectively. A switch on the back will let you change the operation of the AF/MF button to an AEL button. 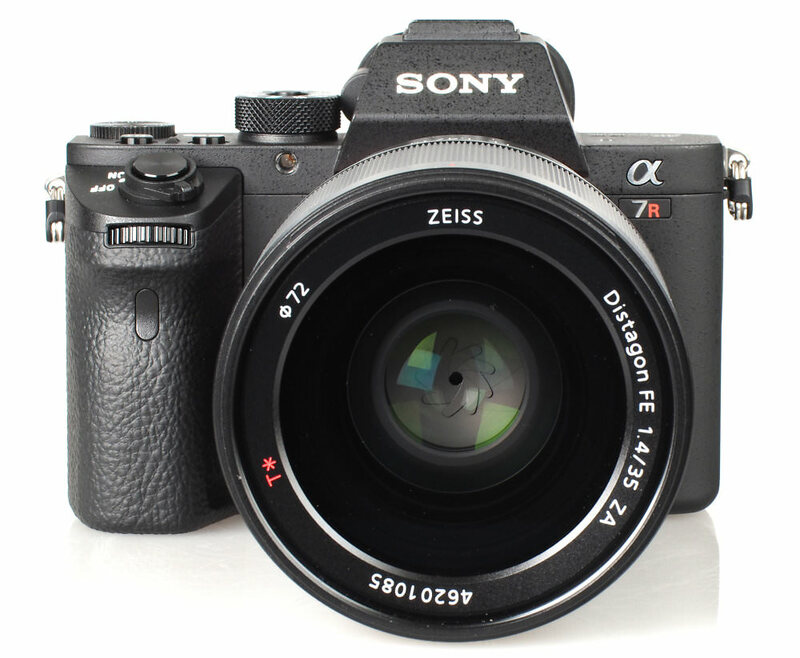 The A7R-II, along with the other Sony Alpha 7 series cameras features the same orange ring around the lens mount, which was first introduced with the Sony Alpha 99, and Sony Cyber-shot RX1, and signifies that the camera has a full-frame sensor. 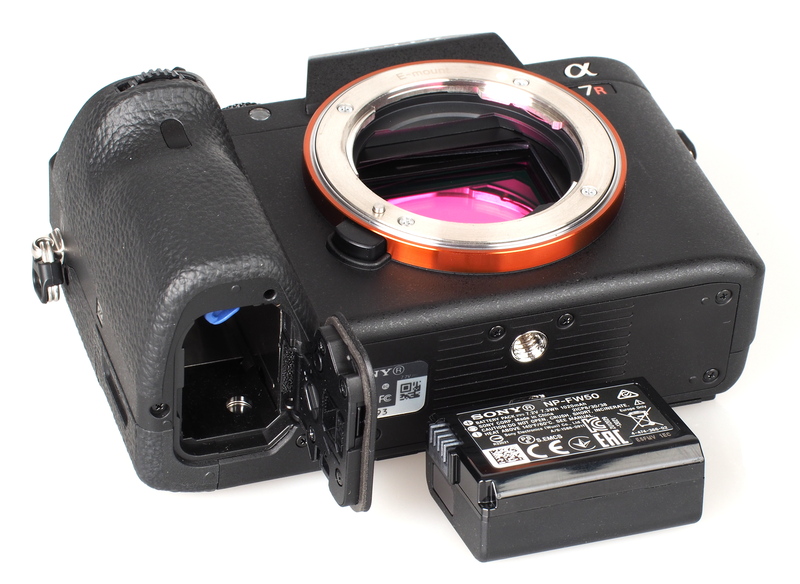 The rest of the camera design is much more similar to a Digital SLR than the previous Alpha 7 models. The rear features a high-resolution 1288k dot 3inch tilting screen that is smoothly integrated into the camera body, and this means it can at times feel a little difficult to pull away from the camera to tilt the screen. The screen quality is very good with good viewing angles. The high-resolution 2.4 million dot OLED electronic viewfinder (EVF) features dioptre correction and an eye-detection sensor so that it will automatically switch to the viewfinder when held up to the eye, although this did seem overly sensitive at times. Electronic Viewfinder (EVF) quality is excellent, with a very clear and crisp display, which includes a dual-axis electronic level, and the EVF has a good sized rubber surround to help viewing outdoors which will be of benefit to anyone who wears glasses. Menus – The menu system is clearly laid out and easy to use, although there are a large number of options, which could make reference to the manual useful, and does make finding some options quite time consuming if you are not familiar with the layout. There is a dedicated ISO button on the rear 4-way scroll wheel, and the memory card access LED is placed next to the memory card compartment making it easy to see. The side video record button has been placed so that you don't accidentally start video recording. There is also a microphone and headphone socket on the side for those seriously interested in video recording, and the clean HDMI out will be of particular interest here. The locking mode dial features Auto, P, A, S, M, Scene, Panoramic, Video modes as well as two customisable user modes, and there's also two custom buttons on top (C1, C2) of the camera, with a third custom (C3) button on the back, along with a Fn (Wi-Fi) button, and C4 button that doubles as the delete button when in playback. The functions available on screen when you press the Fn button can be customised to give quick access to your favourite options. Battery life - Battery life is rated at 340 shots according to Sony / CIPA test results using the LCD screen, or 290 shots when using the EVF, which is quite good for a mirrorless class of camera, and Sony provide a second battery in the box, as well as a proper AC charger rather than relying on USB charging.